Three food websites that feature great recipes for oyster stew are Food Network, Allrecipes.com and My Recipes. 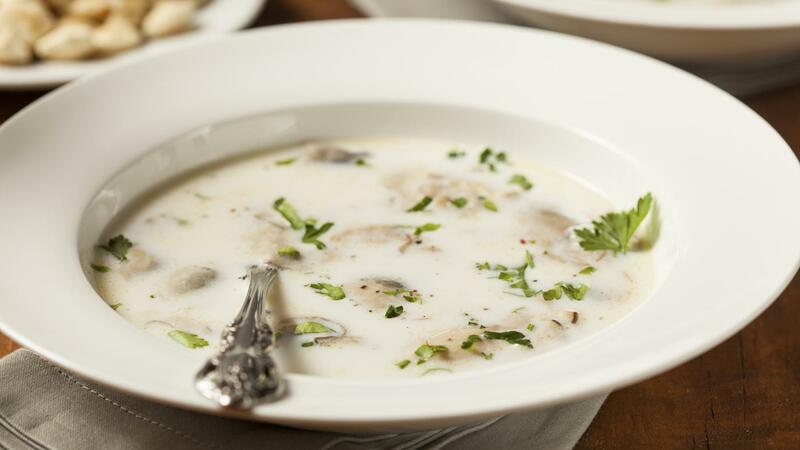 The oyster stew recipe created by famed chef Emeril Lagasse is highly regarded by reviewers, as is the recipe featured on Allrecipes.com. My Recipes offers a spicy version that uses hot sauce. Chef Emeril Lagasse's version of homemade oyster stew uses 2 dozen fresh oysters that require shucking. Making the stew begins by melting butter in a saucepan, and stirring in flour to create a thick roux. His recipe kicks things up a notch by using black and cayenne pepper, along with 2 cups of milk. The recipe on Allrecipes.com is simple to make and uses a 12-ounce container of fresh oysters. Instead of milk, this recipe uses half-and-half cream for richness. Flavoring comes from celery, minced shallots, salt and pepper. Cooks can also choose to make the elaborate version of oyster stew found at My Recipes. This version combines onion, celery and mushrooms with potato soup and cheddar cheese. Hot sauce and pepper provide the heat. Cooks save time and effort by purchasing shucked fresh oysters at the supermarket. If shelled oysters are used, preparation time must include oyster shucking by hand. Tools needed for shucking oysters include a sharp oyster knife and pliers, which are used to break off part of the front shell. What Is an Easy Recipe for Oyster Stew? How Do You Make the Best Oyster Stew? What Is a Simple Recipe for Oyster Stew? Where Can You Find Marshmallow Creme Recipes Online? Where Can You Find the Best Recipe for Panko Baked Chicken?